It is difficult to run a successful air carrier in Africa, as forecasts from the International Air Transport Association (Iata) earlier this month show. It said net profits for airlines across Africa next year are expected to fall by 0.3 per cent, a drop for the fourth consecutive year – and few African airlines are achieving the target of selling roughly six in 10 seats on an aircraft, the number needed in that region to break even. But one company seems to be bucking this downward trend as the inauguration of a new route for Ethiopian Airlines this week shows. 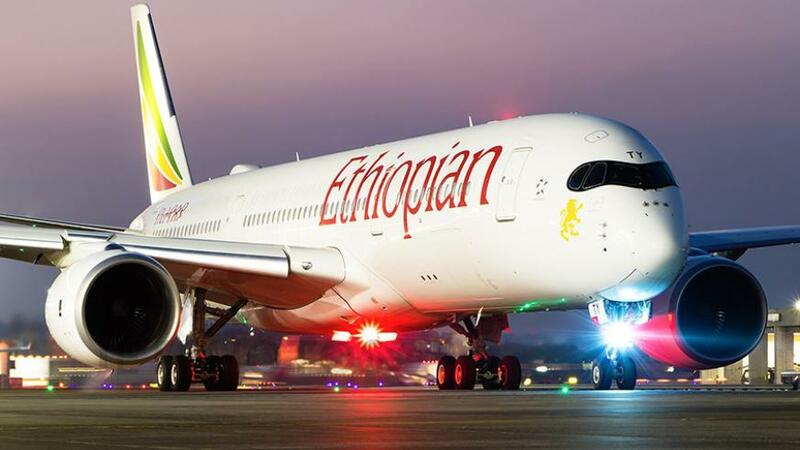 Ethiopian Airlines’ Dreamliner jet landed at Manchester Airport in UK. The airline already flies to and from the congested London Heathrow Airport where it couldn’t add additional flights. It’s CEO Tewolde Woldemariam, who was on the inaugural flight to Manchester, told the press the secret to its success was that it thrived in niche markets and its ability to compete with other airlines. In the case of Manchester, it could now target the large African diaspora including Ethiopians and Eritreans in the north of England, he said. The company, which calls itself the “The New Spirit of Africa”, is wholly state-owned. But the government does not interfere in its day-to-day running, which allows its experienced staff to manage the business, said Tewolde, who has worked with the airline for 34 years, said. In his eight years at the helm, he says the airline has increased its fleet and destinations by more than 20 per cent. African carriers are expected to report a net loss of $300 million in 2019, the International Air Transport Association (IATA) said early this month. This is however lower than $400 million net loss registered in 2018). The expected net loss per passenger is $3.51 making Africa the weakest region globally. Globally, the aviation body has projected global airline industry to earn about $35.5billion as net profit next year. This is more than $32.3 billion earned in 2018. The growth is attributed to the reduction in oil prices and solid, albeit slower, economic growth of about 3.1 percent. According to IATA, It is expected that 2019 will be the tenth year of profit and the fifth consecutive year where airlines deliver a return on capital that exceeds the industry’s cost of capital, creating value for its investors. However, in a statement released from Geneva, Alexander de Juniac, the IATA’s Director General and CEO, air transport in Africa will continue improving, “but only slowly”. Losses are expected to be cut in 2019 as fuel prices decrease. The region benefits from higher-than-average yields and lower operating costs in some categories. However, few airlines in the region are able to achieve adequate load factors to generate profits he said adding that the expected that rising other operational costs would weaken profitability in 2019. “However, the sharp fall in oil prices and solid GDP growth projections have provided a buffer. So we are cautiously optimistic that the run of solid value creation for investors will continue for at least another year. But there are downside risks as the economic and political environments remain volatile,” he added. According to Brain Pearce, the IATA chief economist, there are significant downside risks to growth from trade wars and political uncertainties such as with BREXIT, but the consensus view is that these factors will not offset the positive impetus from expansionary fiscal policy and growing business investment in major economies.